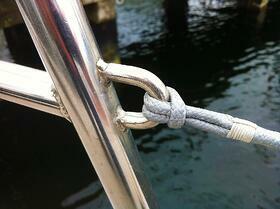 Lifelines – which are sometimes referred to as guardrails – line the perimeter of the boat. They are designed to absorb and dissipate energy into the deck following the impact of a high dynamic load e.g. the weight of a crew member. As a result, it is vital that lifelines are set up correctly: they must be properly tensioned (as taught as possible without bending your stanchion, to ensure energy is immediately transmitted to the strongest point in the system – the pulpit/pushpit), fully adjustable and checked annually, with full replacement every 8 – 10 years. Dyneema® is an extremely lightweight and tough high-tech material that stands the test of time. Formed from HMPE (high modulus polyethene), Dyneema® offers incredible strength for its weight and size. For example, at upffront.com, we manufacture our lifelines from Gottifredi Maffioli’s Ultrawire, and the resulting Dyneema® lifelines are up to 80% lighter and 4x stronger than traditional wire lifelines. 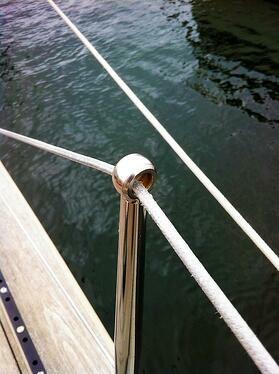 Easier to lean against – when cruising, Dyneema® is far more comfortable to sit against than wire lifelines. Not as abrasive on the sails – a fibre on fibre interaction is far less harsh on your sail material than a wire lifeline, prolonging the life of your sails. Overall, transitioning to Dyneema® lifelines provides significant benefits and is a cost-effective and inexpensive upgrade. 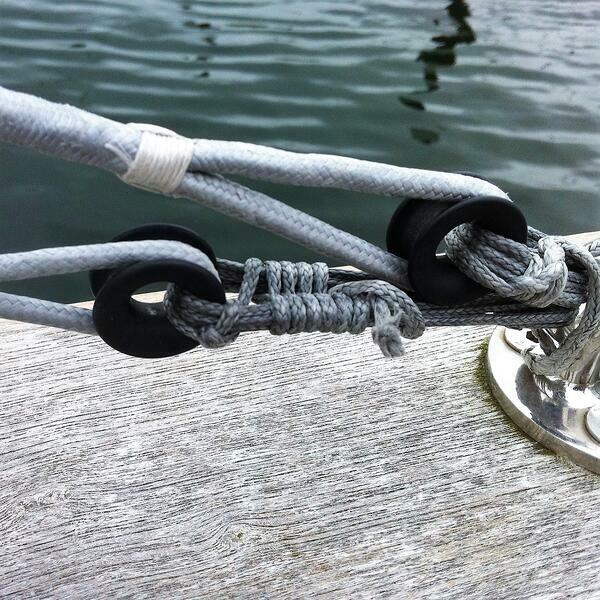 So, if time is coming up to replace your lifelines, why not give Dyneema® a try? Get in touch via the ‘Running Rigging Enquiry’ below or contact us at support@upffront.com.